December 13, 1882 – The Chicago Daily Tribune publishes an editorial in which it protests strongly against an elevated railroad in the city, saying: “The public should organize its protest against any scheme of this kind with a promptness and emphasis that shall leave the Council no doubt about the popular disapproval which unquestionably prevails. 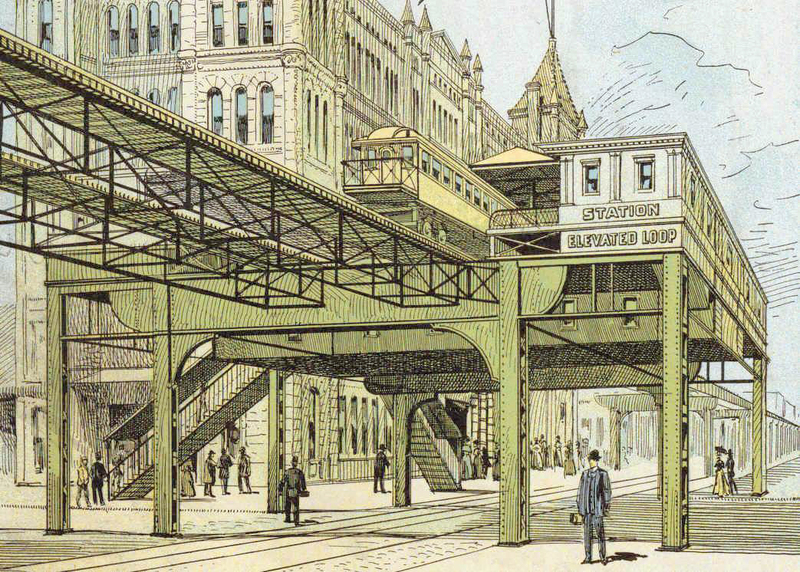 There is neither necessity nor demand for elevated railways in Chicago.” [Chicago Daily Tribune, December 13, 1882] The editorial goes on to remind those behind the elevated scheme of a provision in the Illinois Constitution that “private property shall not be taken or damaged for public use without just compensation ... such compensation, when not made by the State, shall be ascertained by a jury.” Using this constitutional provision, the writers go on to say, “Probably the full significance of this constitutional provision has not occurred to the gentlemen who are so eager to supply Chicago with an elevated railway system which Chicago doesn’t want. They may discover that their purses, long as they are, will not hold out to satisfy the owners of the property which they propose to destroy.” It took another ten years of wrangling, but the elevated system’s first train left the station in June of 1892. 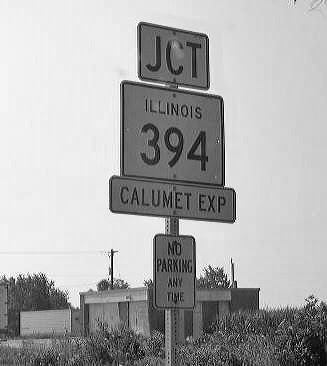 December 13, 1951 – Illinois Governor Adlai Stevenson II, Indiana Governor Henry Schricker and Cook County Board President William Erickson come together to dedicate the Calumet Expressway and its Tri-State Parkway extension, extending from U. S. Route 41 in Hammond to Doty Avenue and 130th Street in Chicago. The new parkway allows motorists to bypass the industrial areas of northern Indiana and South Chicago in order to connect with a national toll road that will cross Indiana and Ohio and join the existing Pennsylvania turnpike.